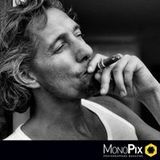 MonoPix is an international monthly magazine for photographers around the world who like to see there work being published. There are so many photographers among us who doesn’t get that chance. Well, MonoPix gives them a chance. Our publications presents the portfolios of amazing photographers. Portraits, street, scapes, or macro photography: each edition of Monopix has a general theme which can include a wide variety of photos. MonoPix is a growing series of hardcover books with the works of international photographers, releasing a new edition every month. Enjoy!